How to Write Effective Critical Response Essays. Be it about an article, an artwork, a song, or a film, writing a critical response essay can be confusing. Most students struggle in narrowing their topic and focusing their thoughts. That is normal. Some of you will eventually be able to complete the task, but that is not all that there is to it. The essay also has to be effective. Otherwise, it will be just another ordinary submission, and the grade will most likely be average at best. Let's talk more about what distinguishes an effective critical response essay from one that is not. In an earlier article posted here, we discussed how to write a critical response essay. This time, we'll go in-depth and dissect what makes one effective. The first thing to remember is that you have to stick to your topic. Do not discuss irrelevant ideas. Once you have identified your claim about the subject of your paper, do not stray from it. Avoid discussing things that simply tend to lengthen your paper. Remove the clutter, so respond directly. If you think that a line in a poem, for instance, is unrealistic, then say so and, more importantly, explain why. This leads us to our next point. Another thing to keep in mind in order to write an effective critical response essay is to provide examples. In other words, mention specific scenarios or parts in the film, book, artwork, or poem, among others, that you are responding to. It is not enough to make a general or broad statement about your topic. Otherwise, your paper risks being considered as unfamiliar with what you are responding to. Providing the examples also indicates that you have explored your subject in-and-out, thus adding authority to your discussion. A third tip is to add theoretical framework or context. 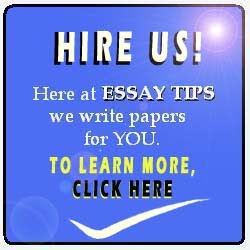 It will serve as your guide in writing the details of your critical response essay. For example, a psychological theory such as Sigmund Freud's can help you explain the behavior of a character in a movie in a more concrete and relatable way. This allows you to anchor your critical response on an established academic theory, thereby removing basic doubts as to your paper's depth. Applying a theory alone already signifies that you are able to bridge the theory with your topic, which requires critical thinking. However, be sure to cite the work you are using. 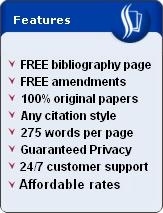 Do so in order to avoid plagiarism. Finally, be honest. It's a basic secret that will make your critical response essay more convincing. Remember, your professor can distinguish the truth from the fabrication, and the least that you would want is for your paper to appear dishonest.